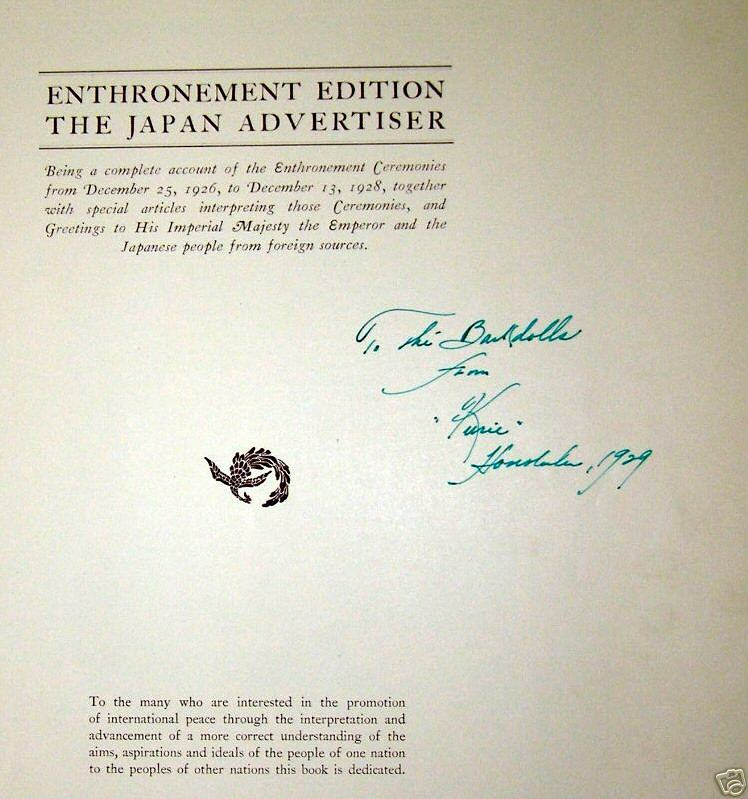 Yoshida, Hiroshi (1876-1950) "Hirohito Enthronement Book" - Book/Magazine - Chinese and Japanese woodblock prints for sale, silkscreen, scrolls, watercolor, lithographs. 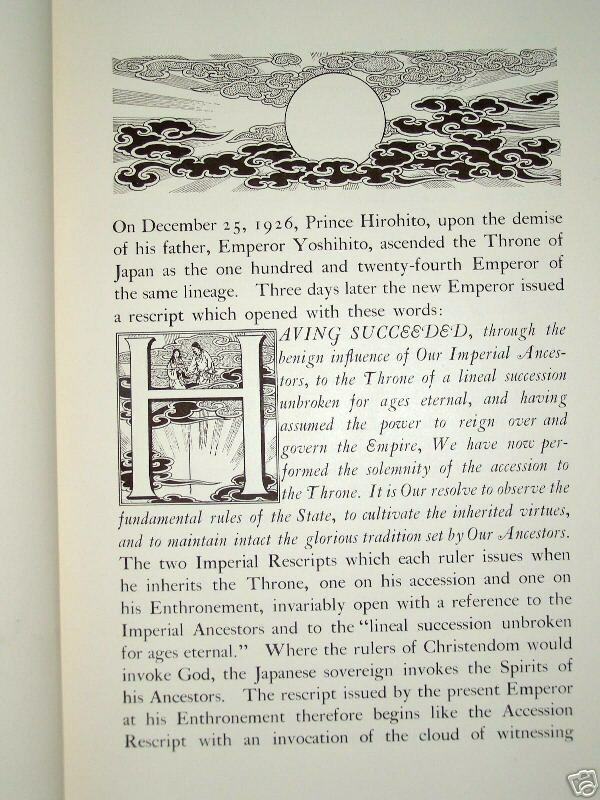 Artwork Details for Yoshida, Hiroshi (1876-1950) "Hirohito Enthronement Book"
Condition: Very good condition, though corners and edges of book show wear. 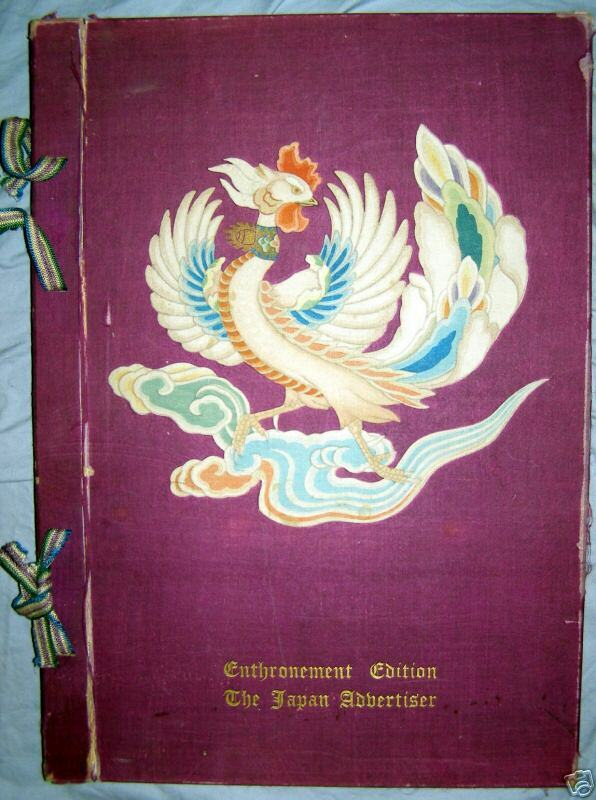 Binding is tight and pages show no wear. 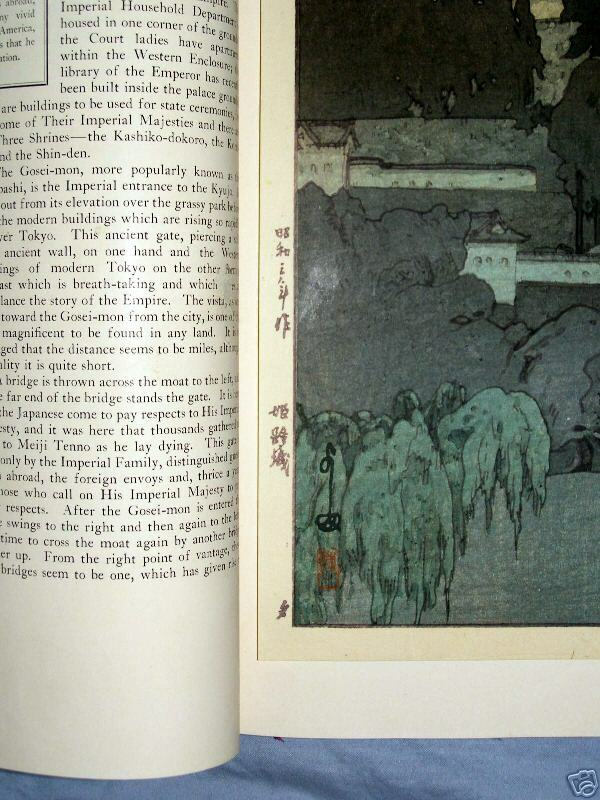 Woodblock print is in fine condition. 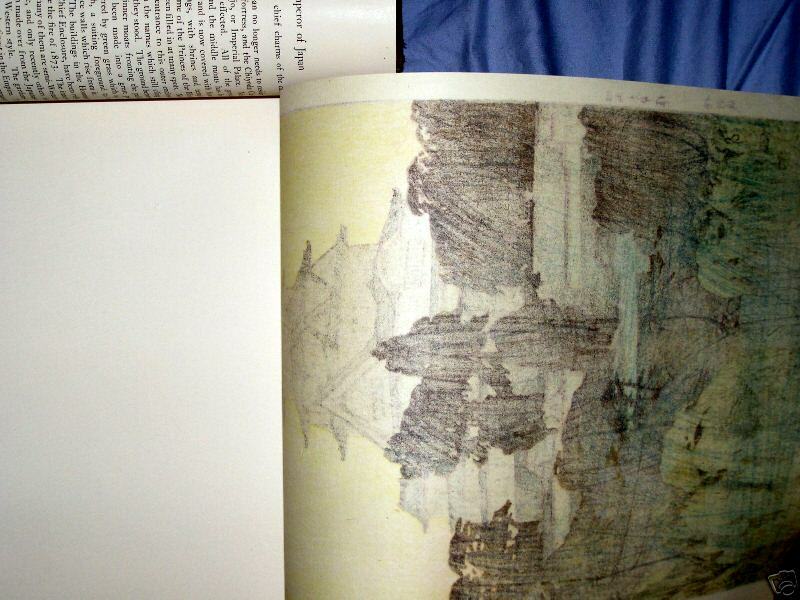 Notes: Sorry, no hi-res scans to view yet; only photographs. 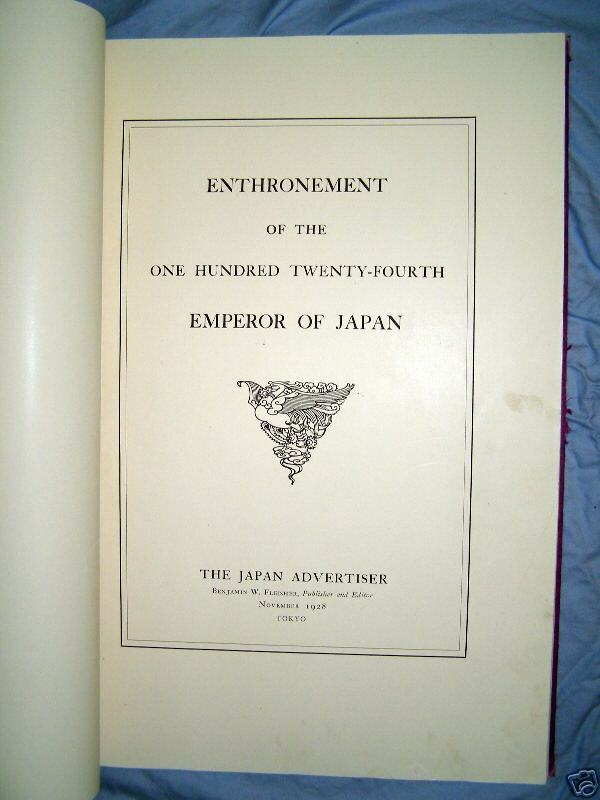 1928 Hirohito Enthronement Japan Advertiser with an original Yoshida woodblock. 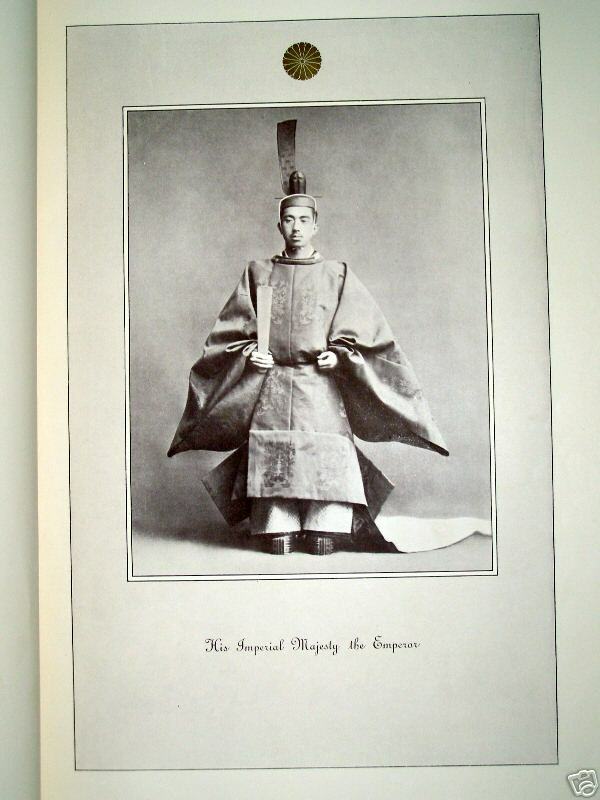 Printed just before Emperor Hirohito's ascension to the throne, book shows photos of the Emperor and Empress and desriptions of their lives. 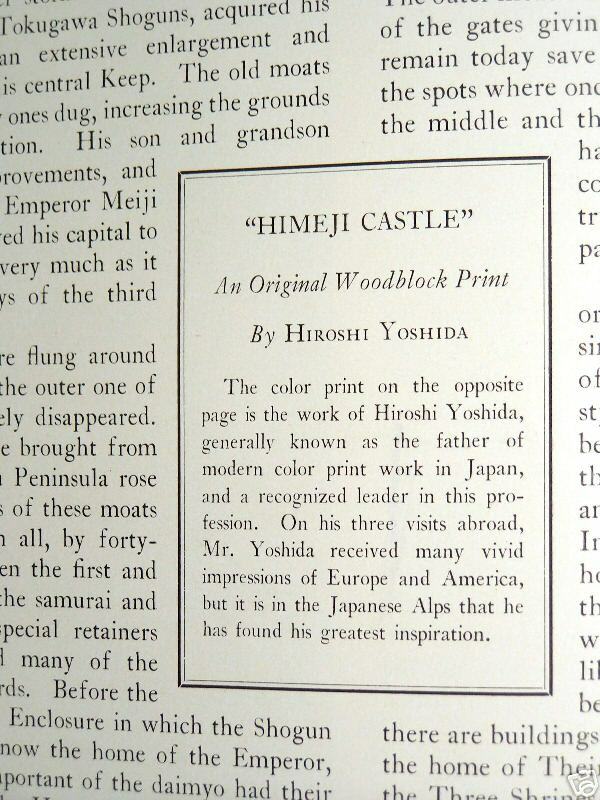 Also includes 10.25" x 15.25 Hiroshi Yoshida woodblock in pristine condition, tipped into the book. 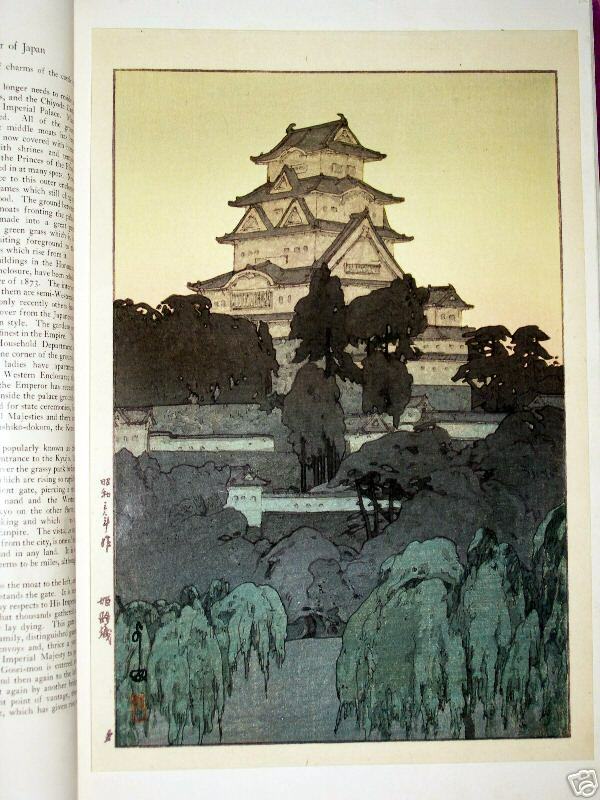 Entitled "Himeji Castle", it is sealed in ink on the lower left.